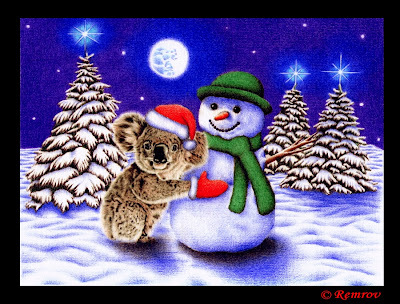 Here's my first Christmas Koala! Soons there will be more of them. 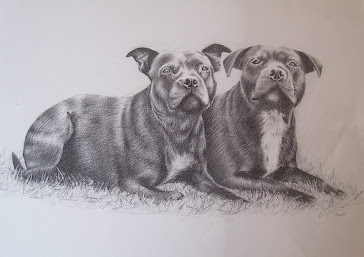 I will sell copies in sets of 3 or 5 for Christmas. So keep checking my website for more information about that. 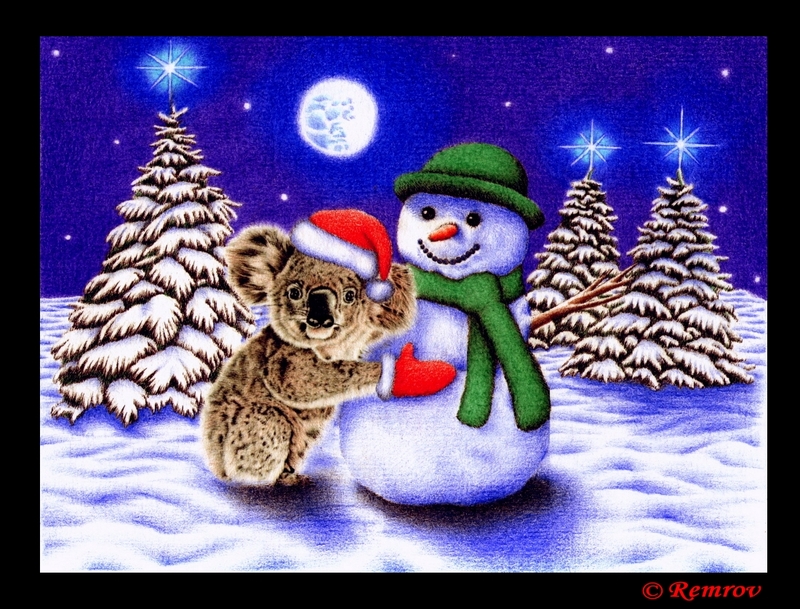 So that you can buy some cool Koala Christmas cards to send to your friends and family. 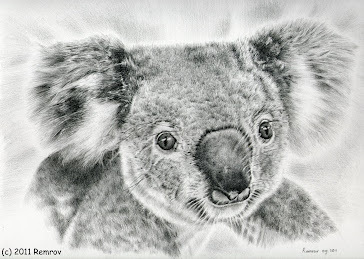 A very nice way to help the Koala, since I donate 25% of it to the Koala Hospital in Port Macquarie, Australia.